Veeam Reporter™ discovers, documents and analyzes your entire virtual infrastructure. It maintains a complete history of all objects, settings and changes. And it trends performance and utilization. So you can really understand your virtual infrastructure—past, present and future. 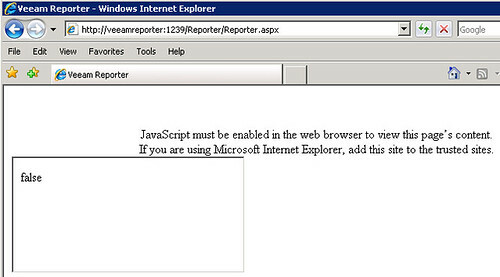 When it comes to documenting and reporting on your virtual infrastructure, Reporter does it all. I was invited by Veeam to take a look at the beta version of Veeam Reporter Free Edition. I’ve captured some of my experience and documented it here. As is quite common with virtualization management tools, including VMware vCenter itself, a back end database is required for the storage of datacenter information. 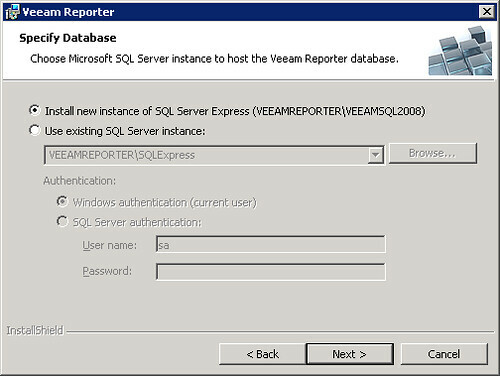 Veeam Reporter has the ability to leverage an existing Microsoft SQL Server. In the absence of a dedicated SQL server, Veeam Reporter will install Microsoft SQL Express and integrate with it locally. Installation of a local SQL Express instance takes quite some time as the necessary SQL binaries (including SP1) are downloaded at this time (this also implies internet connectivity from the Veeam Reporter server is required). Now that the installation is complete, the next step is to configure Veeam Reporter Free Edition. There’s really not much to the initial configuration or data collection. Add to that, the installation and data collection process is agentless – a definite plus. In addition to configuring a Collection Job, I also set up a few of the ancillary items one would commonly find in reporting and management applications such as an Email server. Now that I have some data, I can start creating useful reports and that’s where the fun begins. I will cover some of the reports in the next update so stay tuned. 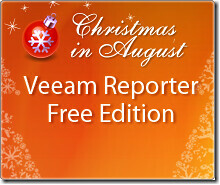 In the mean time, download your copy of Veeam Reporter Free Edition today and get started! VMworld 2010 San Francisco is just a few weeks away now. For those still looking for a way to get there, Head on over to Gestalt IT’s Get Away to VMworld Contest. Zetta, Veeam, Xsigo, and Symantec have contributed resources to the contest allowing two lucky winners to attend the planet’s largest virtualization showcase. Winners will be awarded Friday August 13th. I must choose my words carefully here. This is an interesting video creation from Jonathan Jarvis (credit goes to Guy Kawasaki for the discovery) which explains the financial meltdown that has occurred in the United States. Just about everyone is impacted in one way or another, but many people will have multiple impacts. Hopefully, for the sake of future generations, this does not happen again. Hello gang! For anyone who doesn’t specifically follow the NetApp blogs, this is just a quick heads up to let you know that NetApp has updated its popular NetApp and VMware vSphere Storage Best Practices book and is offering 1,000 free copies of the new Version 2.0 edition. The free copies are available while supplies last so get registered for yours soon!